Celtic cross. The plate consists of the horn from a water buffolo which is a domesticated animal species that isn"t threatened with extinction. 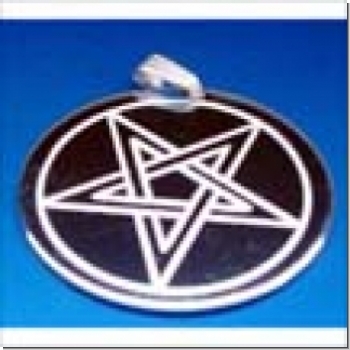 Omega Pentagramm. Pendant in brass / silver-plate. 38 mm diameter, without necklace. 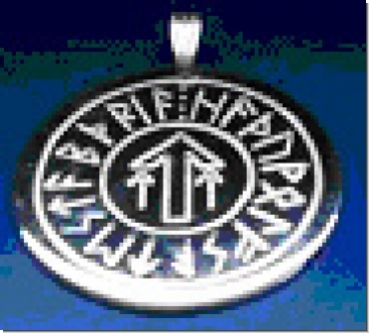 Amulet "Runenbrakteat of Jütland". Pendant in brass. 38 mm diameter, without necklace. 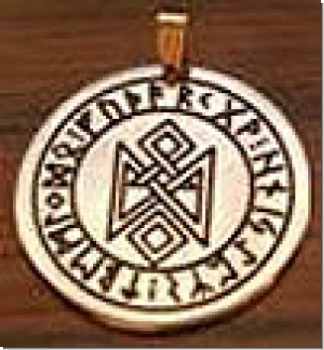 Amulet "Seal Odin". Pendant in brass. 33 mm diameter, without necklace. Amulet "Star of the light-elves"
Over Aundland, the heaven Asgards, lies the world of the light-elves. The stars of Vidblain are wish-stars. Each star fills the bearer a wish. 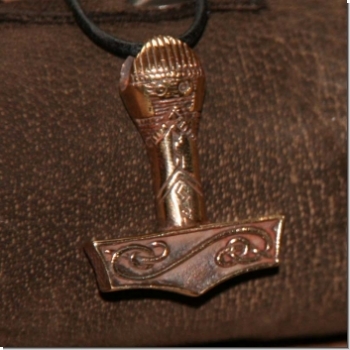 Amulet "Victory-rune Tyr". 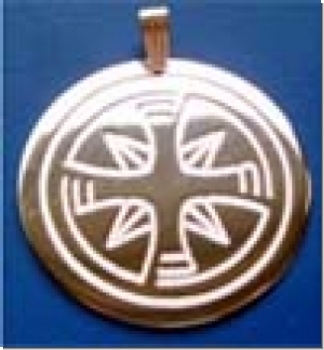 Pendant in brass / Silver-plate. 33 mm diameter, without necklace. Schöner Thorhammer nach einem Originalfund von Gotland gefertigt. Massiv und beidseitig mit Ornamentik versehen. 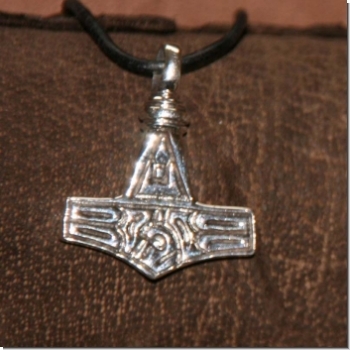 Beautiful and very massive Thorhammer, a Vinland design-piece with the rune-inscription: au-ja (Norse) = divine protection, the upper part of the hammer symbolizes the head of the God Thor.